It’s early to say it, but I’ll say it early — Willis Eschenbach has achieved an earth-shaking breakthrough that’ll have him hailed a hero for years to come. His fame will live on long after he has gone. He hasn’t merely found that carbon dioxide doesn’t control the temperature. He’s provided a reason to discard the very notion that any single forcing controls the surface temperature. The climate is a complex system. His achievement is a triumph. The heavy lines show model response after volcanic eruptions. The response is very slow and after five years temperatures are still below pre-eruption values. In reality, real temperatures in the natural system (heavy black line is their average) get above pre-eruption values within two years and total system energy starts to recover. 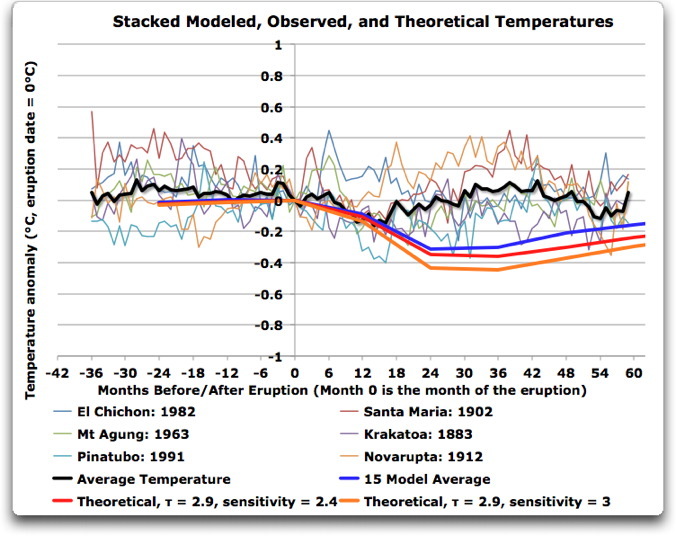 The models show little correlation with observations. Click for larger version. At WUWT the ever-practical Willis Eschenbach refuses to bet on the long-term success of a New Zealand-funded development project to entirely convert the power supply in Tokelau to solar panels and coconut oil and explains exactly why he won’t. I mention this story for the benefit of the many people in New Zealand and overseas who continue to consider coral islands at risk from DAGW*-driven sea level rise. 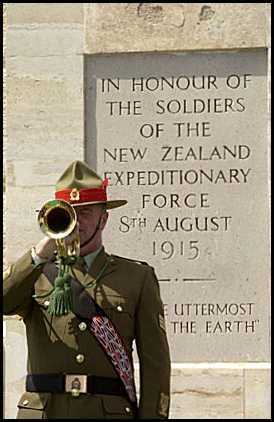 The last post being sounded at a ceremony honouring the fallen. Is it time to bid farewell to the great global warming gambit? Here is the tireless, incomparable Willis Eschenbach posing a simple question and answering it simply and irrefutably. After reading this, all the alarmist nonsense in the world will make no difference to our thinking. In just a few words with plain facts he removes the belief — or even the need to believe — that the humble carbon dioxide has the power to command the climate. The more people know this, the faster we’ll all regain the will to live; spread it widely. Science is what we use to explain anomalies, to elucidate mysteries, to shed light on unexplained occurrences. For example, there is no great need for a scientific explanation of the sun rising in the morning. If one day the sun were to rise in the afternoon, however, that is an anomaly which would definitely require a scientific explanation. But there is no need to explain the normal everyday occurrences. We don’t need a new understanding if there is nothing new to understand.